Need to clean a sensitive piece of clothing? Dealing with a pesky stain that you just can’t get out? 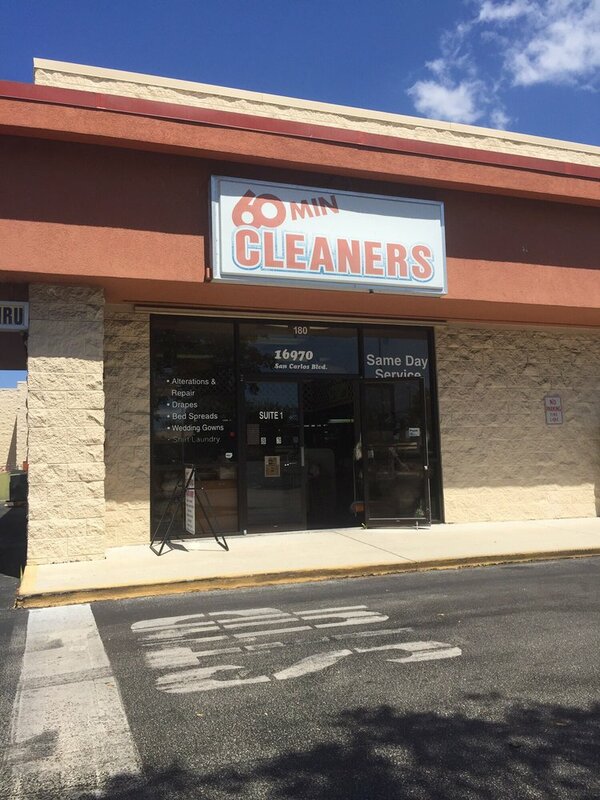 60 Minute Cleaners and Tailor Shop will properly clean your clothing and return it to you in pristine condition—often same-day! True to our name, we offer rapid turnaround and personalized service, to ensure you’re always satisfied with our washing, dry cleaning and tailoring services. We welcome customers throughout the Fort Myers, FL area and can consult with you about your garment needs to ensure they’re getting total and complete care and attention.